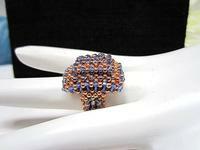 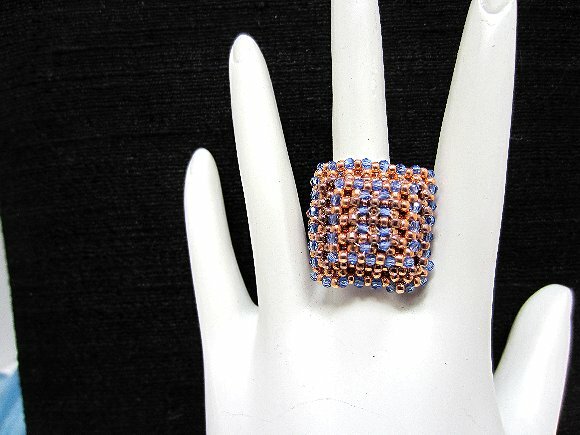 The cocktail ring is made in layers of metallic gold and copper glass seed beads painstakingly hand beaded. 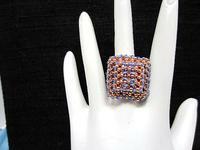 Because there's a bit of give in the hand beaded band, it will easily fit a finger sized from 7 to 8. 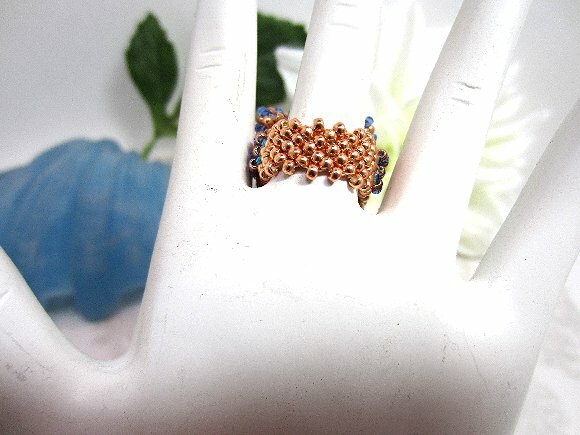 I'll be listing similar rings in different colors and other sizes, so if you have a custom request, please don't hesitate to contact me.